Meet Total Software Deployment: the new Tool for Network Administrators! 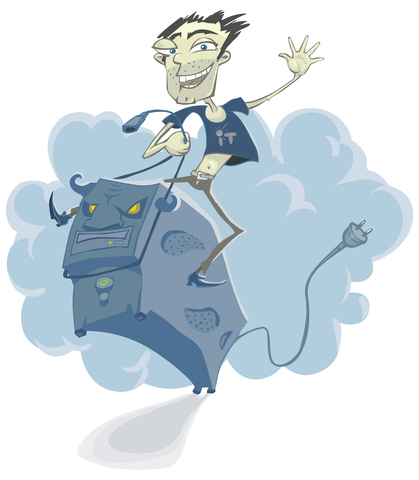 The System Administrator Appreciation Day 2015 may be over, but we’re not yet done with surprises: meet your new assistant! Softinventive Lab is happy to announce Total Software Deployment, a perfect deployment tool for your entire network. We already had a software inventory management tool. Today, we complement that tool with another one – to help you deploy software to remote computers. Why yet another remote deployment tool? Aren’t Microsoft guys good enough building the MSI deployment tool for Windows? We love Microsoft Windows, especially the latest Windows 10, but its remote deployment system is sorely lacking. Restricted to MSI packages only, Microsoft’s deployment system just doesn’t work if you have legacy software to distribute. Our new remote deployment tool supports all types of installers including MSI as well as EXE files produced by all popular third-party installers. System administrators rejoice! You can now deploy and maintain those products easily in a fully automated, discreet manner without distracting your users. No, we don’t call you “lazy”. In fact, we think you work hard enough to deserve a little break. Total Software Deployment will help you automate remote software distribution by building a custom deployment script – no matter what type of installer the product may use. Create a deployment package, test it out and click “Launch” to automatically deploy the new product to your entire network. Have multiple packages to deploy? Total Software Deployment will save even more time by enabling concurrent deployment of multiple packages to multiple computers at the same time. Deploying a package is not everything. Once a product is successfully installed, you’ll need to make sure it gets all the fixes, updates and security patches promptly. Total Software Deployment helps you keep your computers up to date by automatically scanning your network computers and building software inventory lists. You’ll see exactly which software is installed on each computer, discovering outdated installations at a glance and having the possibility to install the latest updates. We’ve set the official page about the product features. If you have any questions or need more information, please feel free to ask on our support page. And as usual. Don’t forget to use the Feedback button. Let us know what you like or dislike in our program, send feedbacks and bug reports so that we can make TSD even better. Everyone who actively participates in testing is guaranteed to receive a gift: a free license for the new version! Greetings! We have released a new version of TSD beta (build 643) on September 18. The test period has been extended for 30 days. You can download it here. Another update! A new version has been released on October 12. You can download TSD RC1 (build 655) using the same link. Or simply click Help (?) – Check for updates. 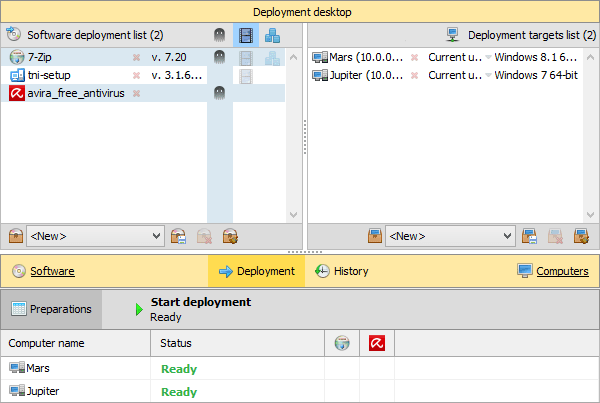 Total Software Deployment has been released! Download the free 60-day evaluation version now! System Administrator Appreciation Day 2015! Another year, another SAAD! System administrators and all IT people, you are awesome, and we salute you! And let this become a good tradition of ours: if you visit our Purchase page, you’ll find that the prices are lower than usual! on July 31st, the SAAD’15!